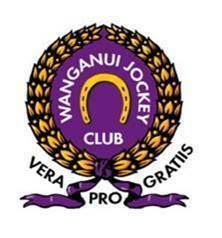 A vacancy exists for a Foreperson in the leading racing stable in NZ, situated in Cambridge. It would suit a person with knowledge of the horse industry. The applicant would need great organisational skill and experience in supervising staff. The salary would relfect the importance of the position. If you want a glimpse into working for the Baker / Forsman Racing Stable, see LOVERACING.NZ's video with their Strappers Aleisha Legg and Emilia Putkinen here. A vacancy exists for Stablehand personnel. It is a full-time position with 5.5 days working per week. It would suit a person with knowledge of the horse industry and could lead to further roles and a career in the horse industry. The role is a permanent full-time position and will be available from September 2019 when our current manager retires. The candidate will need to be dedicated, loyal, a hard worker that is able to lead a small team and preferably already work in the racing industry. The successful candidate will have many responsibilities and will interact with a wide range of stakeholders so will require good communication, administration & budgeting skills, be able to plan ahead, and also meet deadlines and compliance requirements. Application & job description can be found at www.wjc.co.nz. Please complete the application and provide a CV to: [email protected] or WJC, PO Box 15, Wanganui. We welcome throughbred racing industry role advertisments on this page - if you have a role that supports the breeding or racing of thoroughbreds, please get in touch with us via details below.